Whether you are a serious collector or would just like some attractive examples to enhance your home we can provide you with quality pewter. Here are some examples of collections in situ you might enjoy. Shown are some excellent examples of 18th century American forms along with some 18th century English Export pieces. 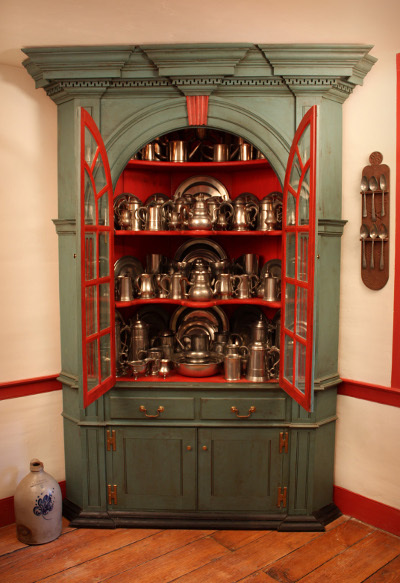 A period cupboard is a great way to display your collection. 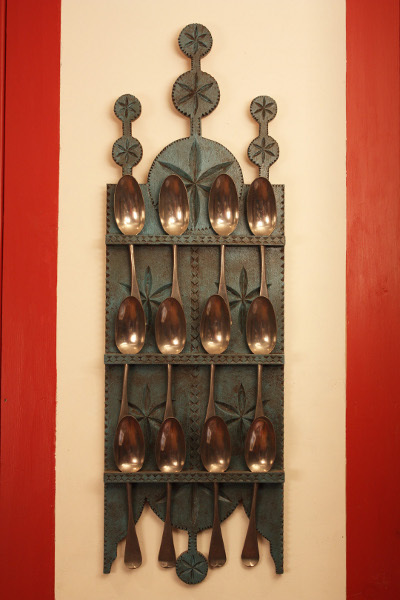 The fact that the items are not crowded allows the viewer to enjoy each piece. 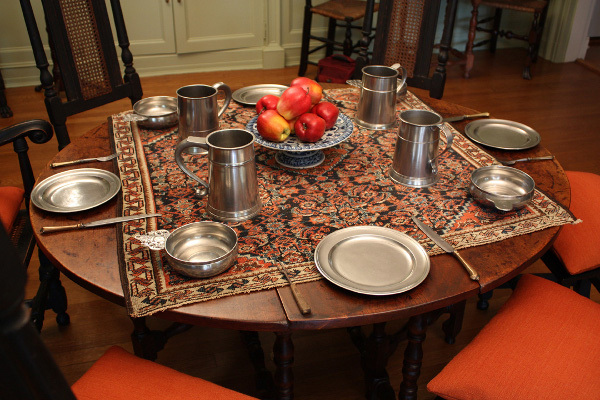 Even if you are not a pewter collector, a few pieces can ad immensely to the appearance of a tavern table as is seen in this inviting display. 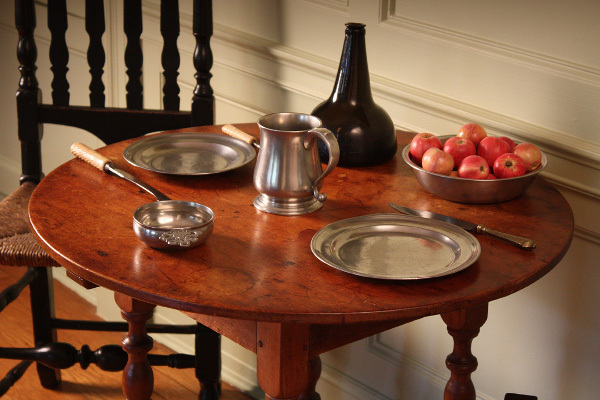 This period table setting shows a superb selection of American mugs, plates and porringers. We will help you develop an outstanding grouping like this. 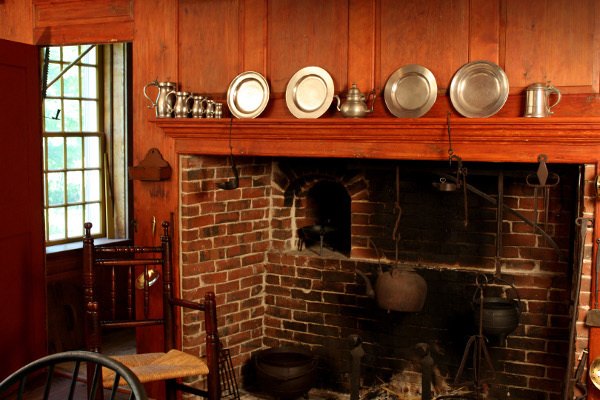 A keeping room mantle somehow would look improper without some pewter. This mantle displays a set of double volute measures along with some plates and a teapot and tankard. Note that the shelf is not overwhelmed. For those of you who think more is better. A comprehensive collection might be for you. 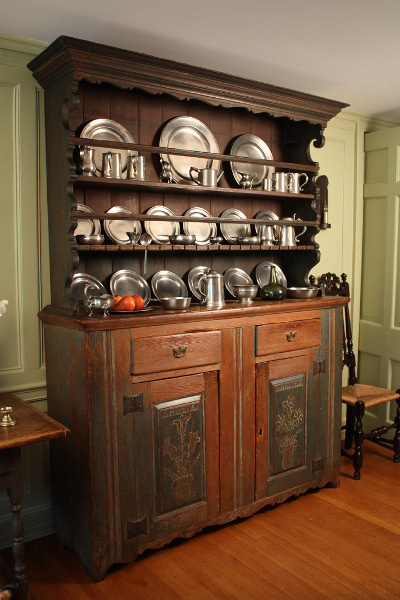 This reproduction cupboard houses a serious collection of English Export pewter. An attractive cupboard enhances your collection, making both stand out. Some collectors on occasion enjoy using some of the items from their collection. 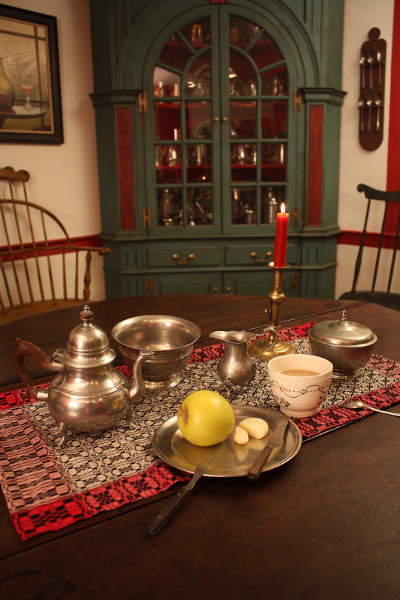 This grouping of 18th century tea wares in use gives the collector a chance to enjoy an additional aspect of collecting.